Iceland has enjoyed being in the top travel destination spotlight for the last few years. It is clear why this is the case. The country has numerous unique and amazing landscapes (that we experienced on our Family RV Adventure Through Iceland) that every tourist can access as well as a unique capital, Reykjavik, to discover. Given our family's love of outdoor vacations, we thought it was a perfect destination to enjoy exploring together. Here is our kids take of Reykjavik. 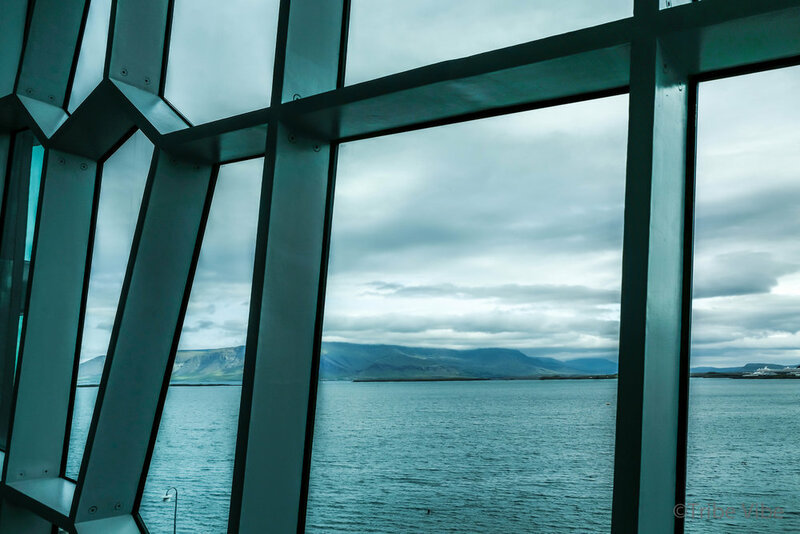 Fortunately for travelers (especially ones which include families), there have been some very reasonably priced airline tickets available to the Icelandic capital of Reykjavik. 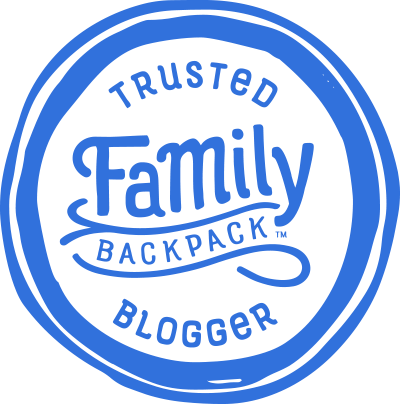 For our journey, capitalizing on the least expensive tickets (I never say cheap because when you multiply anything by 5 family members it is never cheap) meant flying through the night and arriving in Reykjavik in the wee hours of the morning. After gathering all our belongings at the airport, we made our way to the city centre via Flybus shuttle. The shuttles run regularly and can be easily accessed in the arrivals area. The bus is the cheapest (not cheap at 17 euros/adult) option to take the 45-minute commute into the main bus station in Reykjavik (still a good walk from the city centre.) Upon arrival at the bus depot, we left our bags in a locker as our apartment was not yet ready for check-in at such an early hour. Ready to take on the day at only 7:30 am, we made our way to the most logical place to begin any day - the local bakery! How do you start off the perfect 24 hrs in Reykjavik? At the best bakery in Iceland of course. With three hungry and tired kids, we were in desperate need of coffee, hot chocolate, and fresh out-of- the-oven treats. After asking a few airport staff where we could find the best breakfast stop in the city, we headed to the highly recommended Braud & Co. At first glance, we thought we had arrived at the wrong location because the exterior looked anything but like a traditional bake shop. Your kids will love it instantly! Seriously, how fun does this storefront look? Super fun, right? It seemed everyone else in Reykjavik thought so too as there was a high volume of traffic in and out of the shop. Even though the queue was long, you will enjoy the wait watching the bakers do their magic in the exposed kitchen. It kept our kids entertained and the time in the queue passing quickly. After making our purchase, we grabbed a bench outside, breathed in the cool fresh air (a luxury when you live in the desert) and devoured everything! It was all so good that heading back into the queue for round two was inevitable. Probably Reykjavik's most famous landmark sits high on top of Skólavörðuholt hill. Here you will find the unforgettable Hallgrimskirkja Luthern Church. The plain concrete structure standing at an imposing 74.5 metres tall is impossible to miss from anywhere in the city. While some say it is the eyesore of Iceland, Architectural Digest named it one of the 21 most beautiful houses of worship around the world. While this ranking may seem high, it is a landmark and fits the character of its surroundings. 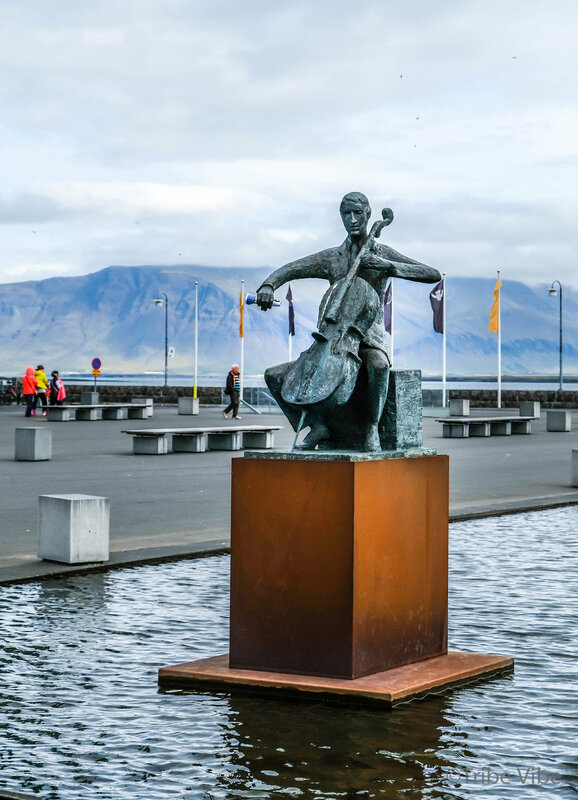 Go to Reykjavik and see what you think! Standing on guard in front of the church is the Norse explorer Leif Erikson. He was built before the construction of the church and looks like its great protector. One of the most iconic photos of the city is taken from the top of the church, looking out onto Reykjavik. The image captures the colourful, lowrise buildings in the city. We decided the $50 USD for our family to go to the top was not worth it to us, so we never had the view. I'm still not 100% sure this was the right choice? The pipe organ is the highlight of the church's modest interior. It was built by German artisan Johannes Klais and is almost 50 feet tall and 25 tons. More than 5000 pipes fill the church with music. It is truly impressive. As cold and stark as Hallgrimskirkja can look by day, at night it takes on a whole different feel. Walking up the hazy yellow lit street towards the church was dreamy (although very cold.) The street lights cast a soft glow on the church which definitely eased its daytime harshness. Absolutely go see this church at night. One thing I was not expecting was the cheerfulness of Reykjavik. The city is full of colour and whimsy. Being surrounded by a rainbow of facades and playful storefronts that would put anyone in a good mood. We loved it. Street art adorned many parts of the city, much of it interesting and well-crafted. Everywhere you looked there were playful masterpieces along with insightful messages. From what we could see, there were no displays of graffiti art that would cause you to cover your children's eyes. It all seemed sophisticated and the humour was clever. Like much of the rest of Iceland. Being from Canada, this poster made us laugh. Our day in Reykjavik was spent doing a lot of walking. When our family is moving (walking) is when we find we have our most interesting discussions. The boys were very curious to hear about Iceland's very progressive approach to social and economic issues. They learned it had one of the most successful rebounds from the disastrous economic crisis of 2008, continues to rank as #1 on the World Economic Forum’s survey for gender equality, and has taken extreme measures to drastically reduce rates of teen drug and alcohol use. These topics kept resurfacing throughout the day as we made our way through the city. 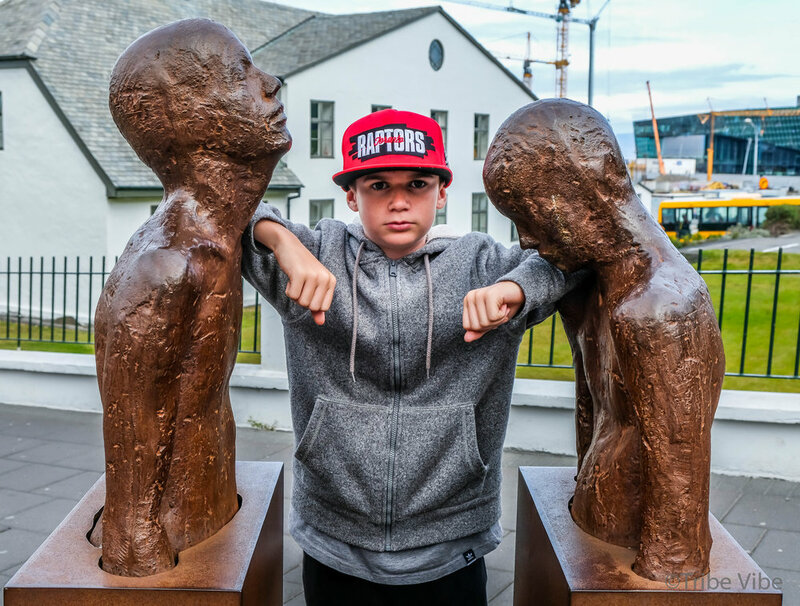 Iceland really is a great place to engage your kids in interesting debates on social issues. Beyond these more global issues, our children found it fascinating to know Iceland has no army, an almost non-existent murder rate, virtually no violent crime, and a low rate of petty crime. They had a lot of questions why more countries didn't adopt the standards of this country. 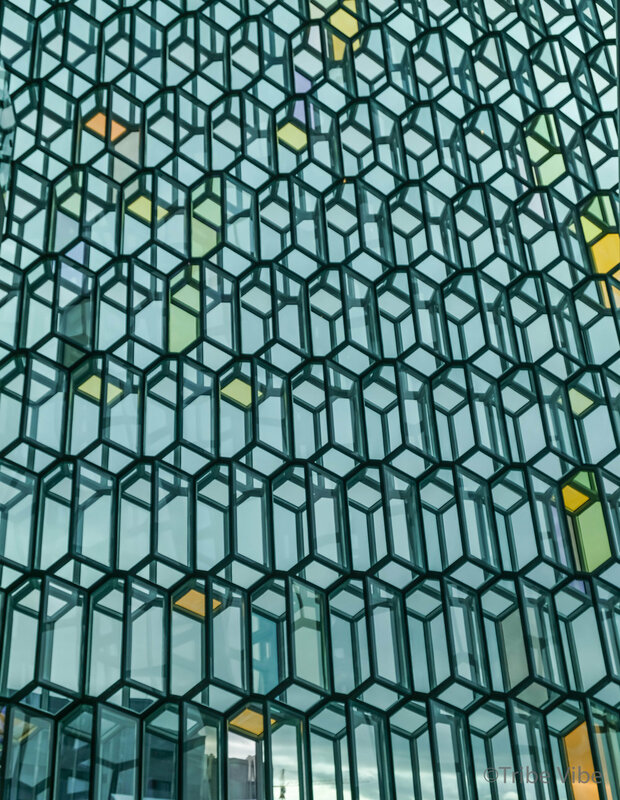 Another iconic building in Reykjavik is the Harpa concert hall. A steel frame structure covered in coloured geometric pieces of glass make it a definite statement piece. The exterior is a little barren making it seem a somewhat bleak on a grey day. Luckily a few fun statues in front of the building were waiting for the boys to utilize for Insta images. 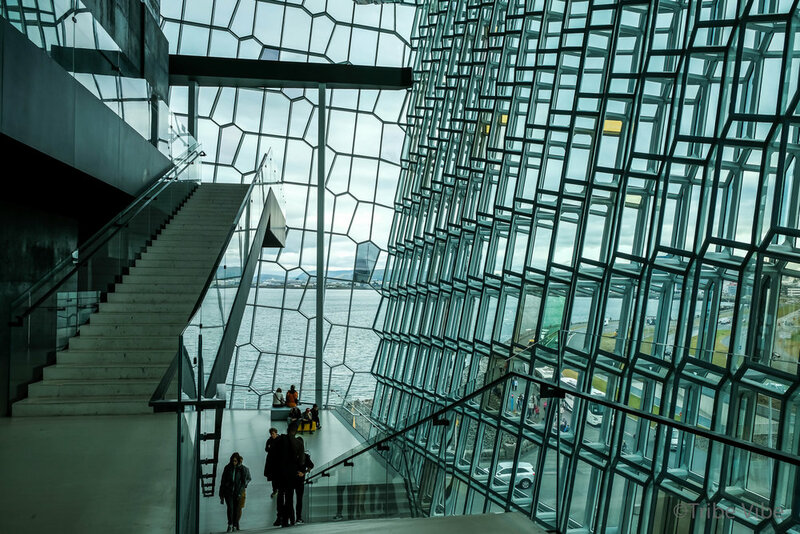 The interior architecture of the Harpa concert hall is fabulous and more interesting than its exterior. Inside, you will be surrounded by a maze of zigzagging suspended staircases, cantilevered glass walls overlooking the harbour, and a beautiful mirrored ceiling. It's a perfect spot to take many memorable photos. After a very full 24 hrs in Reykjavik, it was time to decide on where to eat. There are plenty of good options in the city but you need to be prepared for the cost. Throughout the day, we quickly found out, that Iceland is a very expensive country. 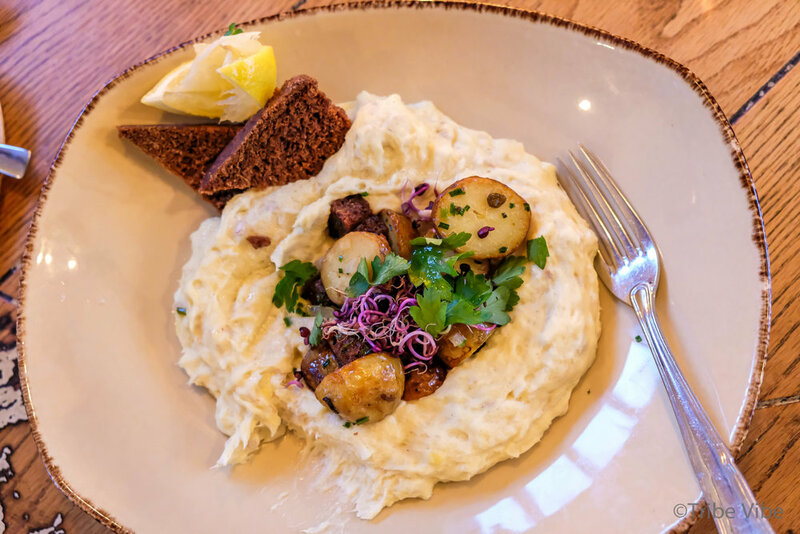 Knowing that the rest of our Iceland adventure would be in an RV cooking our own meals, we decided to detour from "budget" and went for the highly recommended Hoffin restaurant. 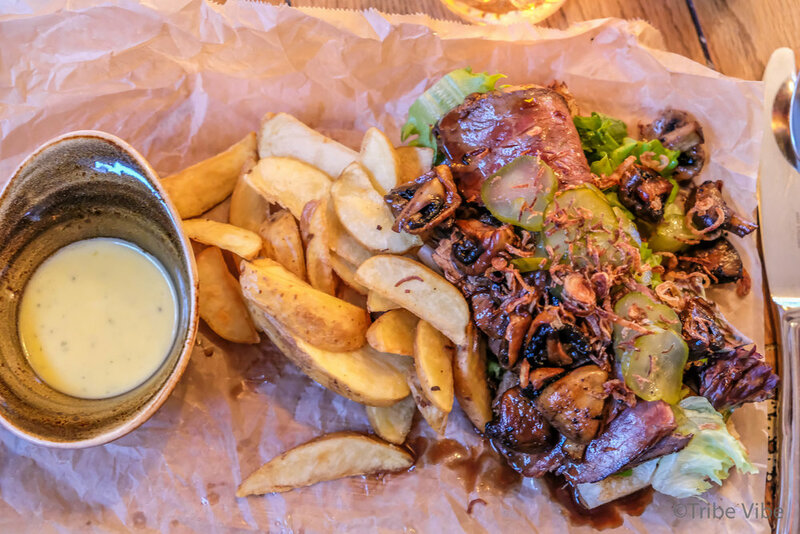 The restaurant had a warm and casual atmosphere to go along with its excellent food. Our kids licked their plates clean of fish soup, fish balls, and pulled lamb. Traveling with your kids and exposing them to a variety of cuisine they would otherwise not encounter is a true highlight. It was the perfect ending to our 24-hour whirlwind in Reykjavik. After a truly memorable dinner, we strolled along the beautifully lit streets and enjoyed breathing in the very cool (cold) air. Reykjavik was nothing like I expected. 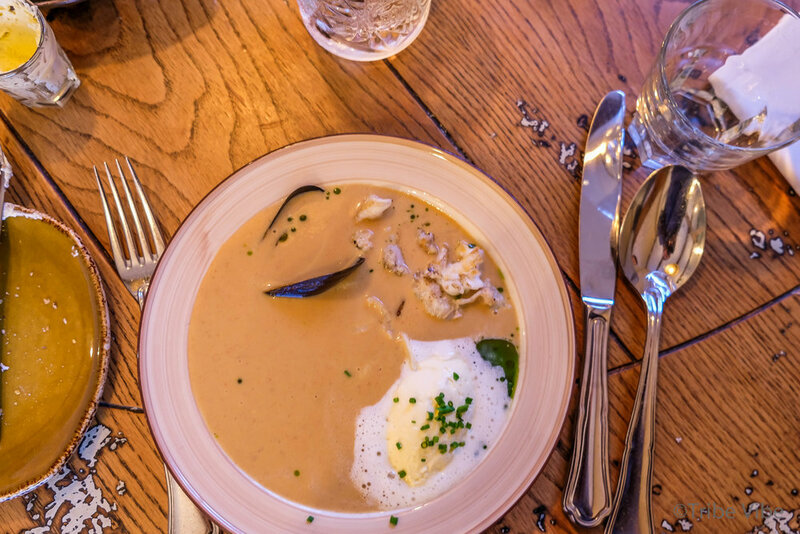 It had a casual, warm, playfulness about it that our whole family really enjoyed. My last photo of the evening was the outside of a restaurant that I think summed up the way we felt about this unique city- cozy, casual, playful yet cultured. Now onto our RV adventure through the southern part of Iceland!